Looking for movie tickets? Enter your location to see which movie theaters are playing Fair Game near you. 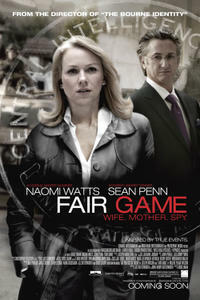 Valerie Plame and her husband face the fallout when her cover is blown as a covert CIA agent. Tense Valerie Plame story mixes drama, politics.